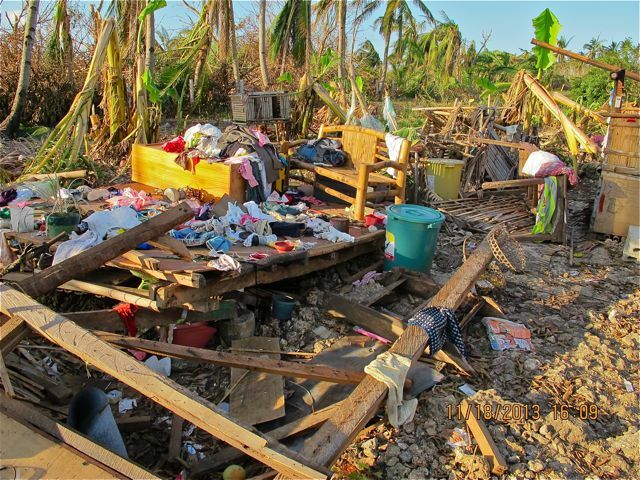 On November 8th 2013, Philippines experienced the strongest super typhoon ever to hit land, killing thousands of people and destroying their homes. Millions have been affected and many are still left hopeless. 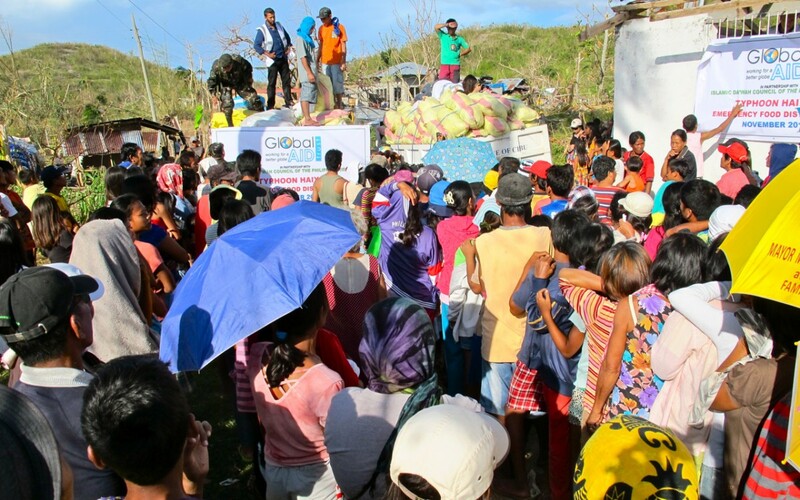 Seven days after Typhoon Haiyan hit, I joined Global Aid Trust to distribute emergency food supplies to the survivors of Typhoon Haiyan in the Northern tip of Cebu island and document our mission. Day 1: After 2 days of constant flying, I landed in Cebu, Philippines and met with the rest of our team; Rizwan Hussain and our ground partners, IDCP (Islamic Da’wah Council of the Philippines). 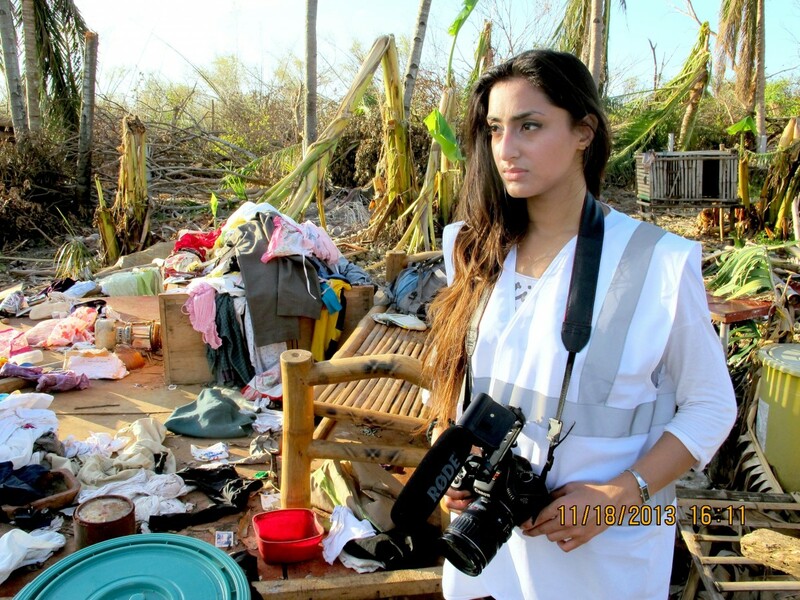 As the only woman and camera crew, I was prepared for whatever was to come my way. We planned logistics over dinner and it was clear to me that the whole mission was a battle against time. 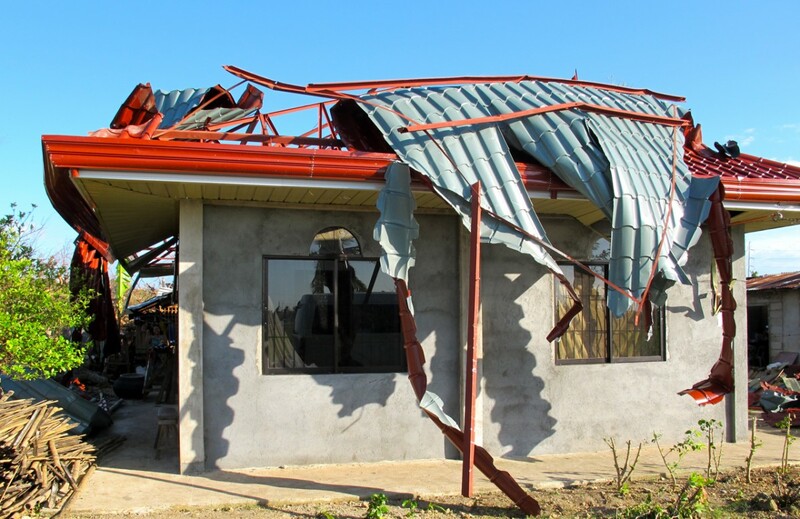 We decided not to go to Tacloban just yet as aid was currently being distributed there already and we wanted to target a place where no aid had yet reached the victims. Cebu is composed of 6 cities and 44 municipalities with a total population of 2,619,362. 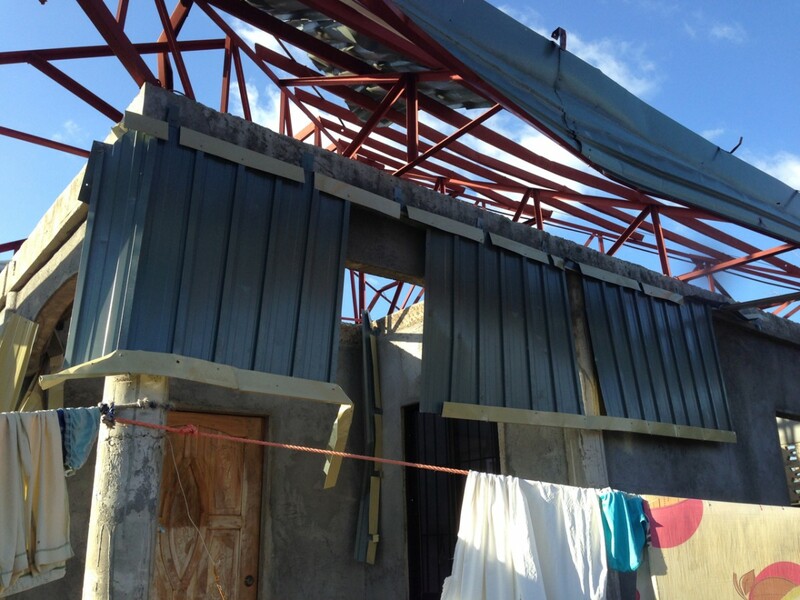 One of the municipalities severely affected by Typhoon Haiyan is Daanbantayan. 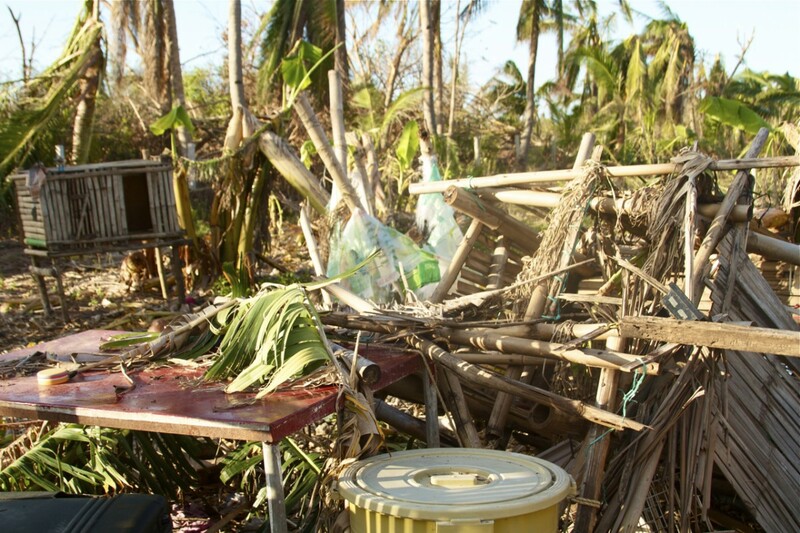 There are 16,282 total households in Daanbantayan of which 14,654 are severely affected. 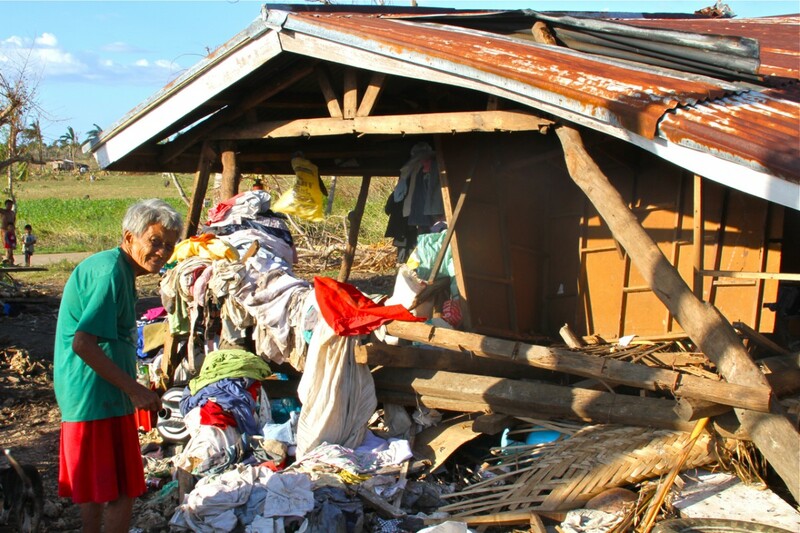 In Lanao, 608 out of 640 households are totally damaged. That’s 95%! Day 2: A four hour road trip into the disaster zone where we met with the local municipal government of the area to discuss our distribution plan. 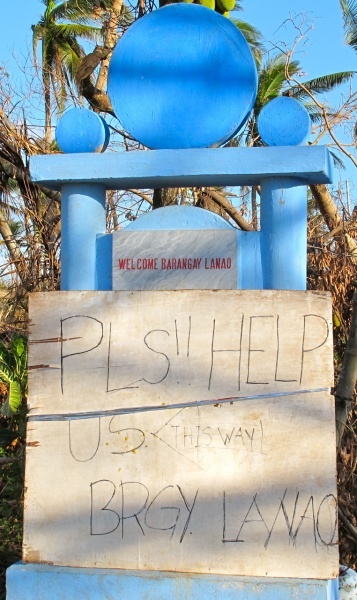 As we approached the disaster zone, fallen trees had plagued the streets scattered with the people’s message; “PLEASE SAVE US!”, “PLEASE HELP US!” drawn on whatever structure was left erect. 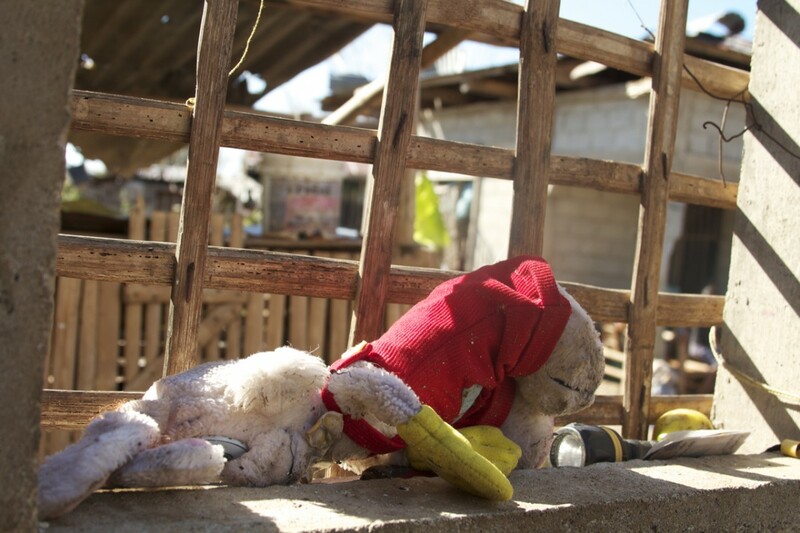 Small children ran up to the car crying with their hands spread out, desperately crying for food. My heart melted in seconds and I wanted to dive out of the car to rescue them but was told not to just yet. It dawned on me that with such limited time and resources, it was difficult to please everyone. Then our CEO, Rizwan Hussain, taught me a lesson. He said that if I gave food to a few children then I would leave a thousand others unhappy so it was best to provide for all of them if we had the resources available or better not to any of them. Listening to interesting stories and horrifying facts about disaster zones en route to the disaster zone. We made it to base camp where we met the woman in charge to identify which part of the island needed our help the most. 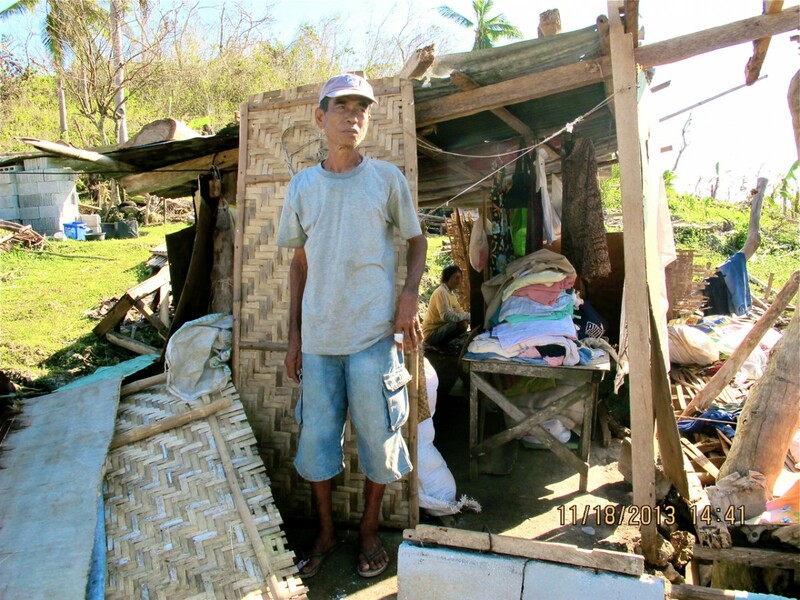 About 90% of all the housing in most of the villages were destroyed. Rizwan wanted to approach the communities who had not yet received any aid so we set off for a recce to the village of Lanau and handed out coupons to 600 families so that they could present the coupons the following day in exchange of food packs (5 days supply). 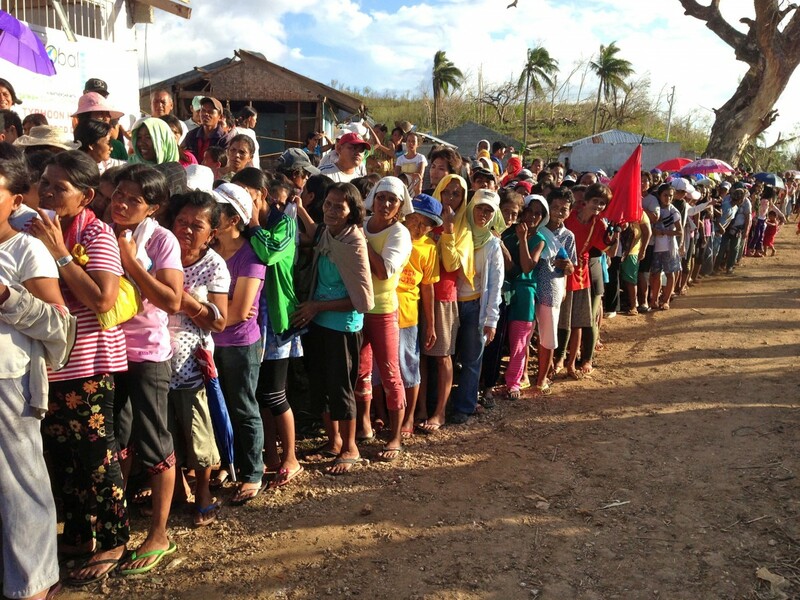 We were going to be the first charity to distribute food in that village. 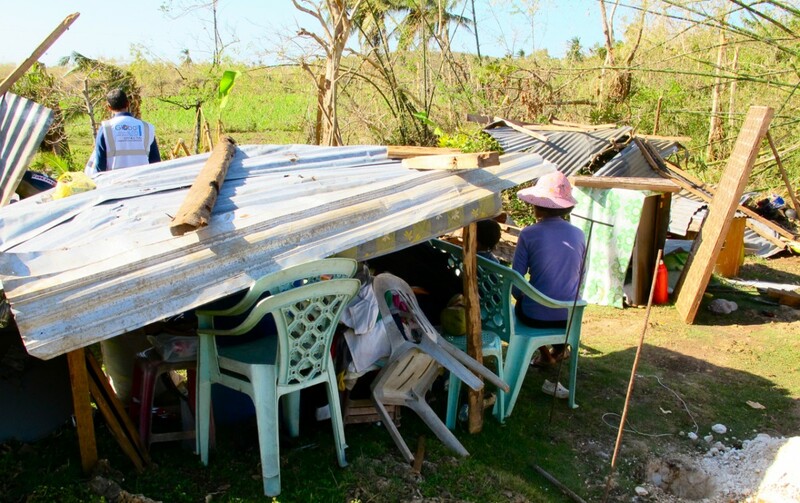 Statistics showed that the village consisted of 608 families and luckily, we had enough packs to feed almost every single one of them. I walked through the destruction these people once called home. My heart broke several times but I shielded the pain with a smile. 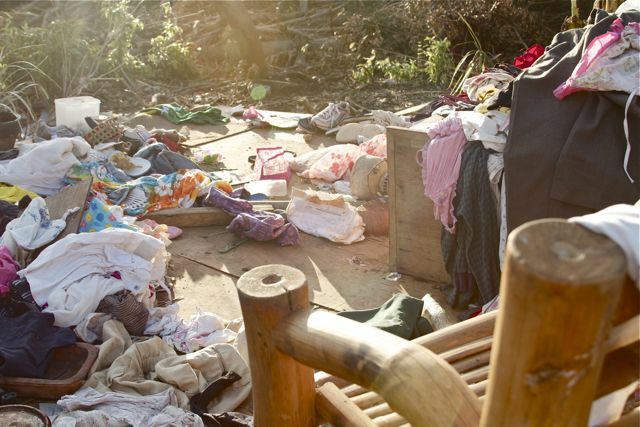 Houses crumbled to pieces, meshed with broken furniture with toys lying about and clothes scattered everywhere. A small child’s head popped out through what was once a window frame. Her look of grief replaced with a smile. 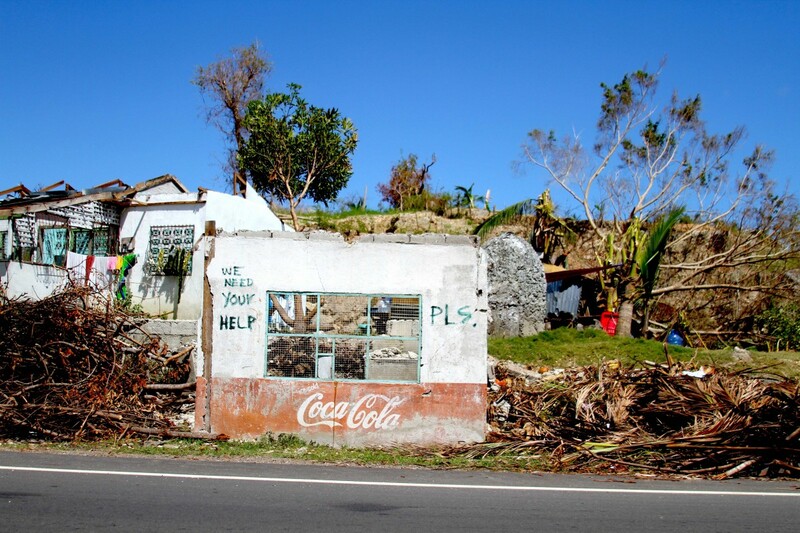 With limited time, I jumped back in the car as we drove through more damaged houses and broken souls; both in need of repair and rescue from this despair. I was given a few locations to film in. The first, I observed up close and personal as a man reconstructed his house starting with a tipi structure made from bits of wood. He axed through the fallen trees with his machete, using his surrounding resources as materials. His pet bull chewed some grass and sniffed my presence and I tried not to laugh. 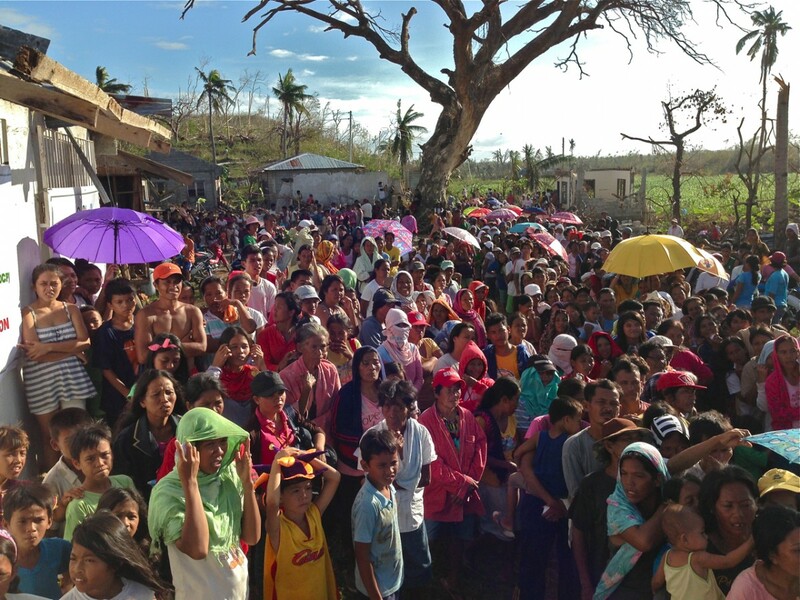 The people waved at me from the other side and they seemed very calm regardless of the calamity. On another location, a group of women called out to me. 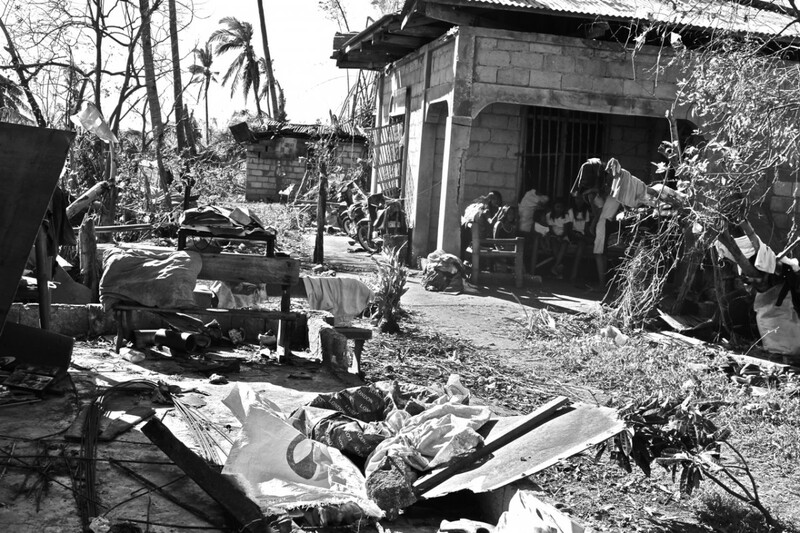 They let me into the remains of their homes and I walked through their damaged way of life as they cried out for help. I asked them to send a message to the outside world. And they did. We stopped at another location, trying to figure out where the house actually stood as it was blown away, dispersed in different directions. A small boy sat on a bench outside what used to be his home. He stared at the ground with a tear trickling down his face. My heart broke again. 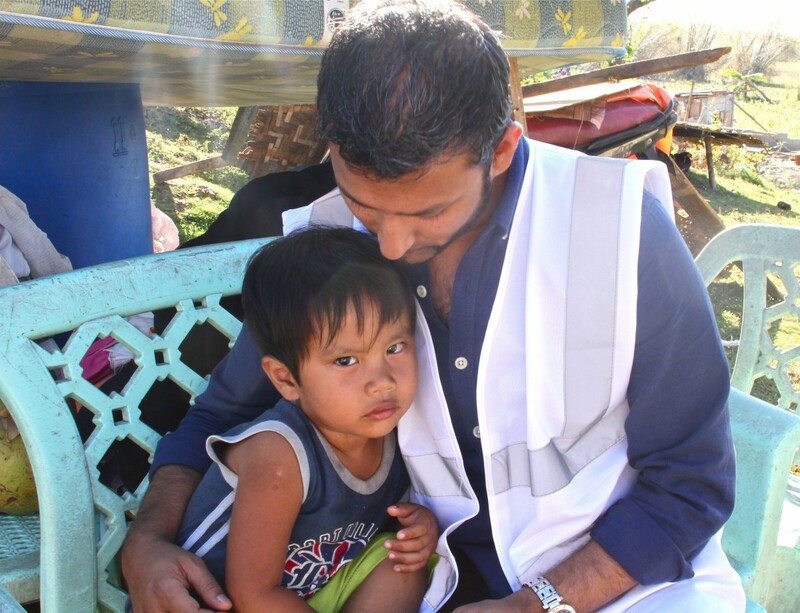 Rizwan sat next to the boy and the boy took Rizwan’s hand and placed his head on top of it as a sign of respect whilst silently aching for help. My heart broke again, this time, as one leg fell through a hole with everyone bursting around me in fits of laughter. Rizwan was so touched by this boy that he gave him a little present and the family were grateful. They couldn’t stop smiling at me even though the house around them was torn apart. True warriors, I thought. One more location ached for my camera to capture its presence. This time it seemed like the whole village were desperately in need of their voices being heard. 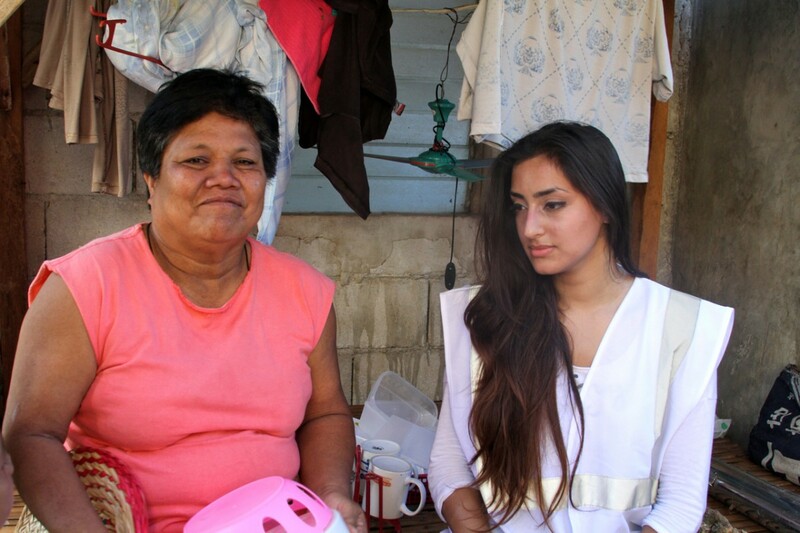 One woman took me to her home, kept telling me she needed food, their children needed food, and that they were all starving. She repeated how they all sleep under a mango tree every night. She was not only pleading, but bleeding help. A group of people gathered around me and I captured their message. 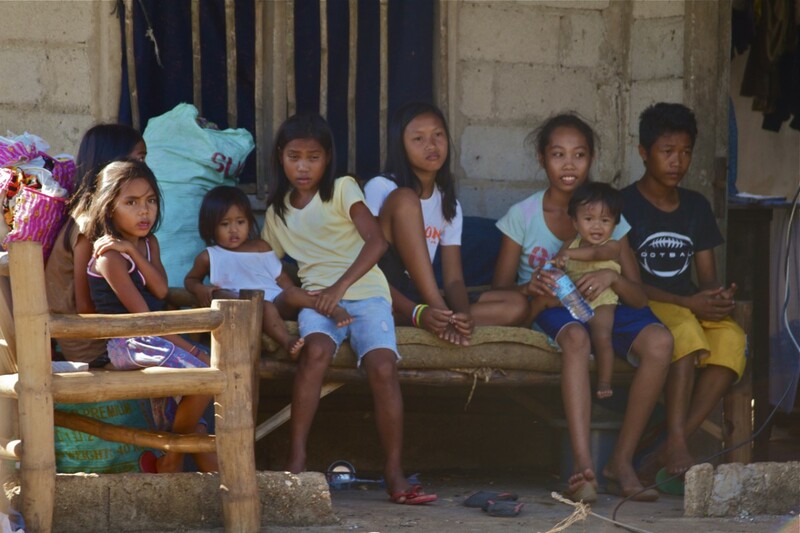 Global Aid Trust decided to distribute all 600 coupons (one coupon per family unit) in the village of Lanau to the people we had just met. The whole way back, I reflected on the scenes I had just witnessed and although I wanted to help them all, it made me upset knowing how difficult it actually was. 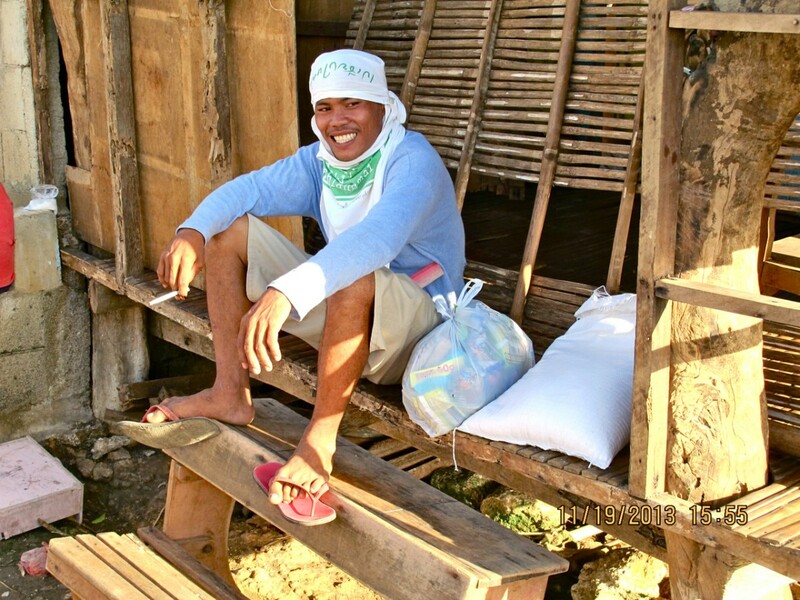 Day 3: Rise and shine at sunrise with Filipino breakfast; dried fish, scrambled eggs and a bit of rice with our ground partners, IDCP; Shahid, Ahmed and Kibs. Our next step was to head over to the military base, load and pick up military trucks to transport the food packs and a few soldiers to provide security. 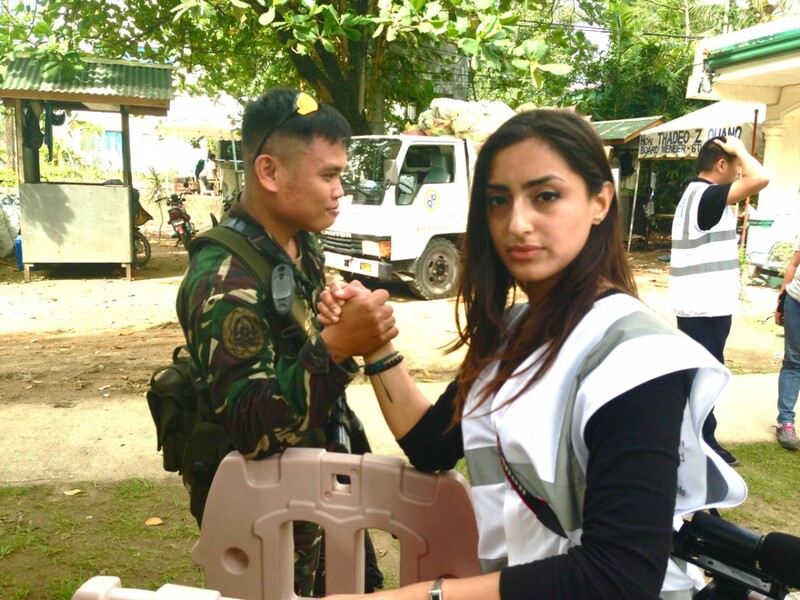 It was a long wait so to kill time, I ended up arm wrestling one of the soldiers and playing with his machine gun… I mean posing with his machine gun… hehe I was never a Barbie girl, always a fan of Action Man! The long wait passed and eventually the trucks were loaded with aid supplies, ready for distribution. I asked Rizwan to do a piece to camera and we began filming. To all those people who donated their money to this cause, this is where all the money had gone; to feed the families for at least 5 days and relieve them of their hunger. The journey continued and we stopped by the ocean as we waited for the other truck to arrive with the bags of rice. At that moment, I knew something had happened to me. I was captured by something and upon reflection, experienced a deeply profound change taking place within me. Then reality hit. We stopped for lunch by a side road as we waited for the rice trucks to catch up with us. 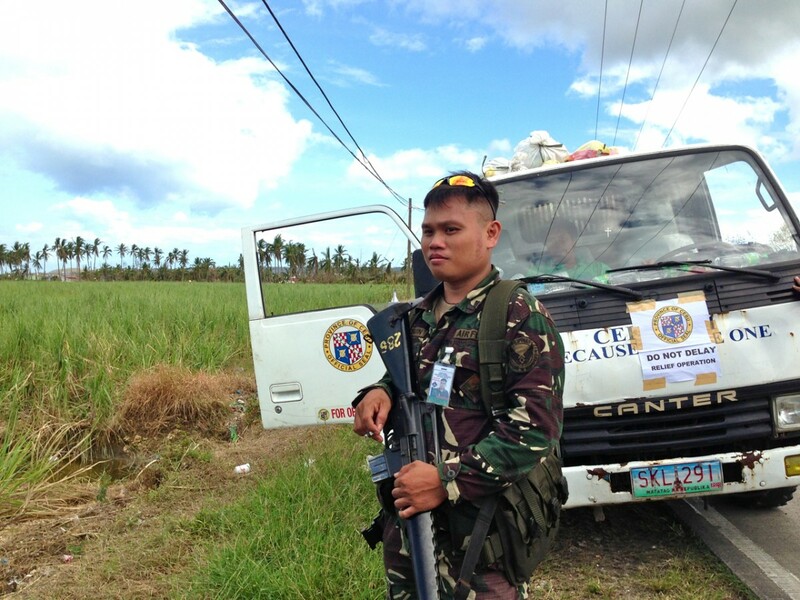 The military soldiers we were travelling with were on guard. I couldn’t help myself so I approached the soldier. It’s always good to laugh and smile with the team whilst on an important mission… it keeps the soul fresh! KIBS: Ok guys, I need to tell you something very important. When we get to the village, remember if they offer you any food, don’t take it. They are known here to put poison in the food and make you very ill. Then, you have no choice but to ask them for the cure. SHAHID: Only they can poison you in this way and only they have the antidote. SARAH: Now that’s something to look out for! It took another 3 hours before we arrived at our final destination. A few other aid trucks passed by and healthy competition filled the air. The whole village queued up waiting to be relieved. I climbed on top of the truck to capture a birds eye view of the mission. It was amazing to watch the expression on their faces transform from painful suffering to joy as each person grasped their bags of food, in great relief. I lay on top of the food packs on the truck, steadied the camera then turned away from the viewfinder to take in the magnificent crowd before me. I decided to grasp this moment through the lens, panning from the crowd to our team with Rizwan on the primary truck. The children called out to me and our bond was bound by a smile. Smiling and laughing is truly healing. Infectious. It is a universal language that charges our souls with the seed of love and the power to recharge others with that same positive energy. Making my way down into the crowd, I looked on as the whole village lined up. The crowd parted as I slowly captured one expression behind the next. I wandered what they were thinking before we came and what they were thinking now. How many lives had we saved? How many people were on the verge of starvation? And how many people in this world actually cared about these souls? 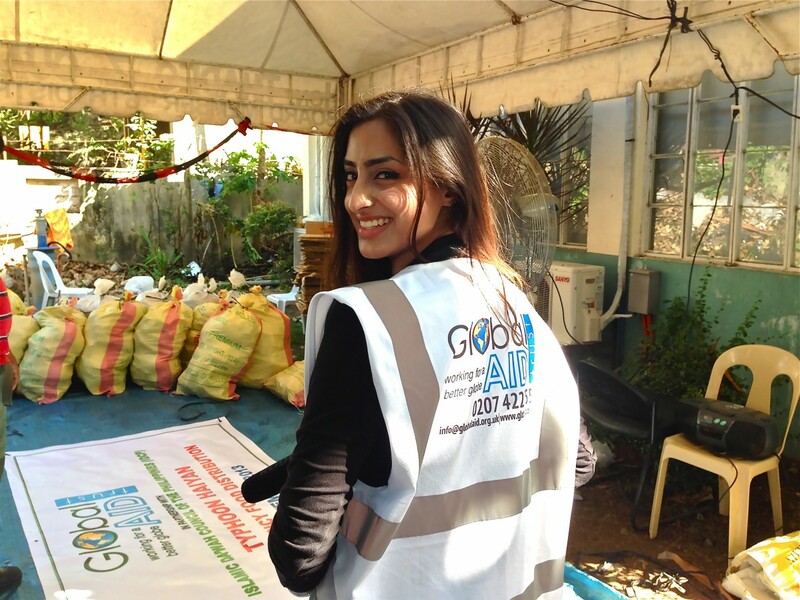 Global Aid Trust was surely one of them along with all their donors who truly helped make this happen. 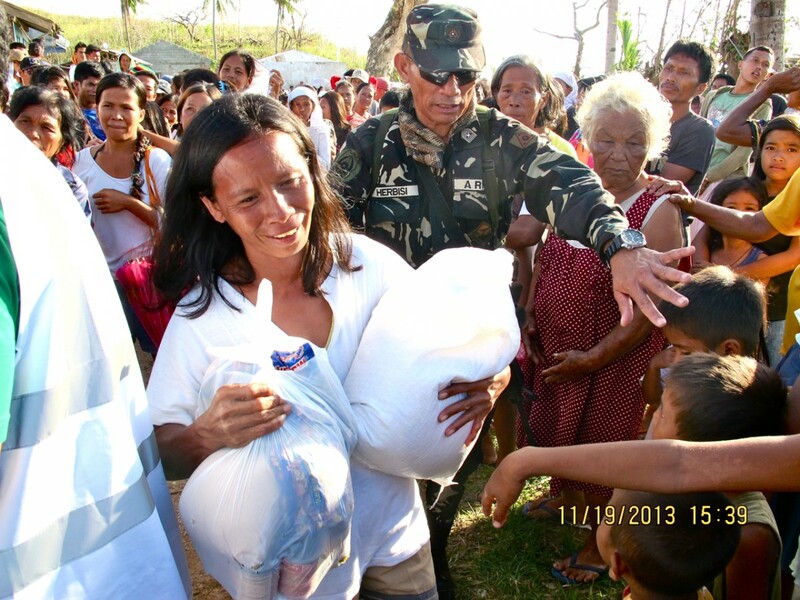 I wanted to get stuck in and help the team so I climbed the truck, rolled up my sleeves, asked the soldier for his cap and started distributing food packs to the people. I followed a young boy and his mother home as he carried the bag of rice on his head and captured him place the bag on the surface of what used to be the kitchen, a miniature hut which they have no choice but to call home now. A trail of children gathered and quickly became my posse. 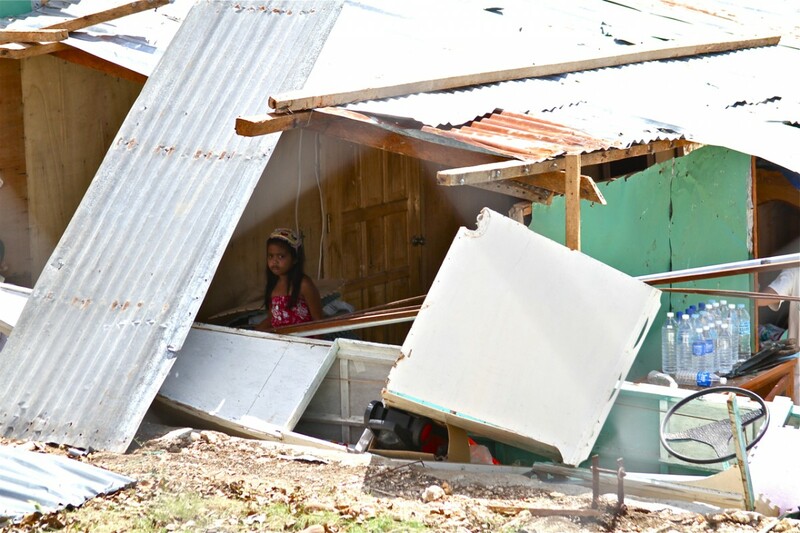 One young girl pointed out a damaged house whilst another claimed the neighbouring damaged house as her home. 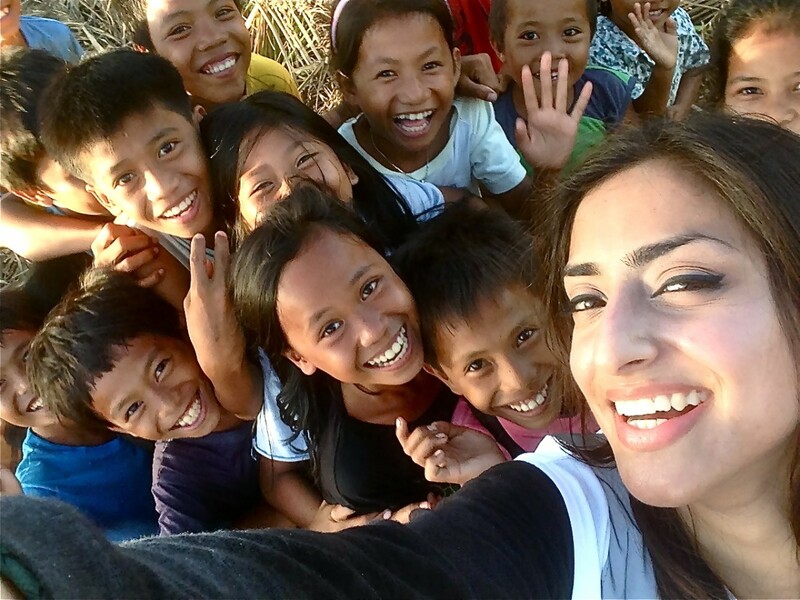 Regardless of their house being totally destroyed, these children were eager to laugh and play with me and wanted to take me to Lake Lanao. Ha! Children. I wish I could have stayed longer to play with them. I sat in the hut and captured their looks of gratitude for the outside world as did Shahid (Some photos have been taken by Joaleo Shahid Linzag). 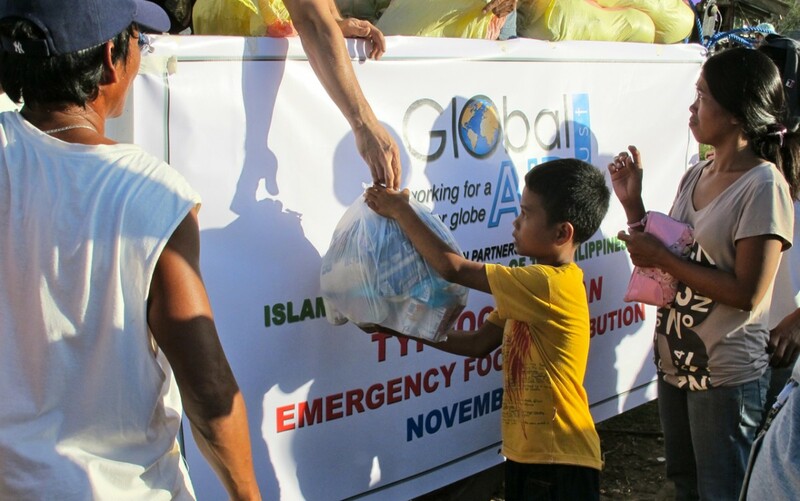 On November 19th 2013, we distributed emergency food supplies to 600 families in the village of Lanao, Philippines, feeding 4500 people. Rizwan, Global Aid Trust, IDCP and myself all achieved our goals. 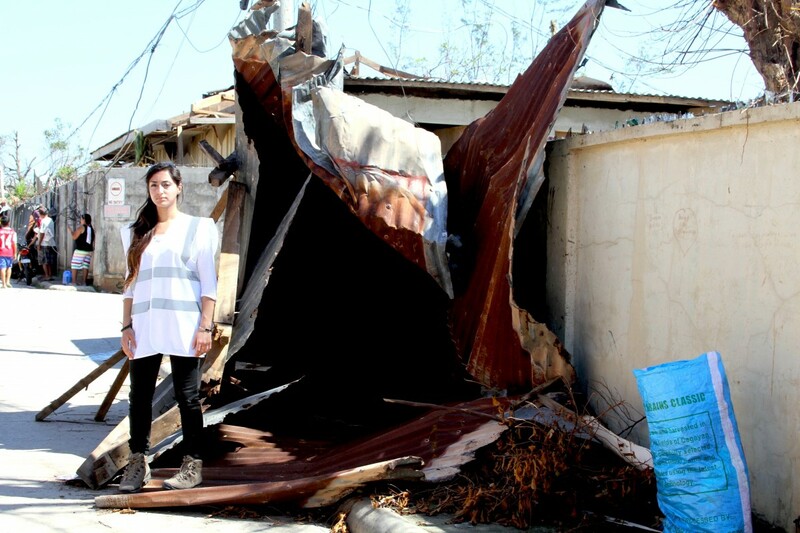 The next step is to reconstruct their homes and this is something Global Aid Trust are looking into.